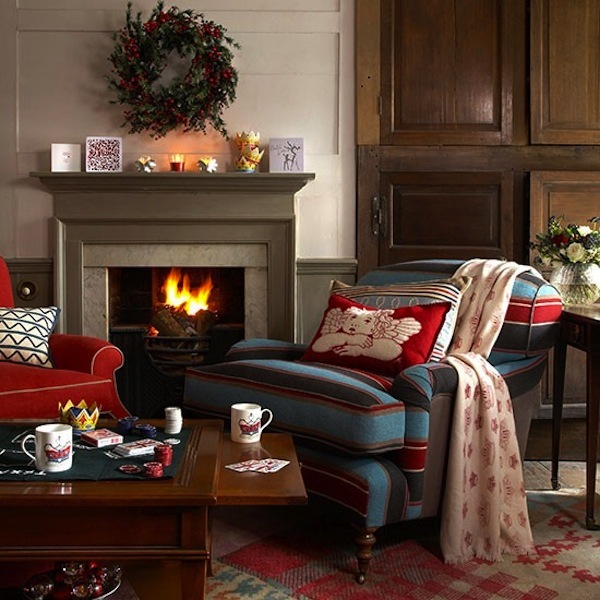 For many, the fireplace is the warm center of the home. 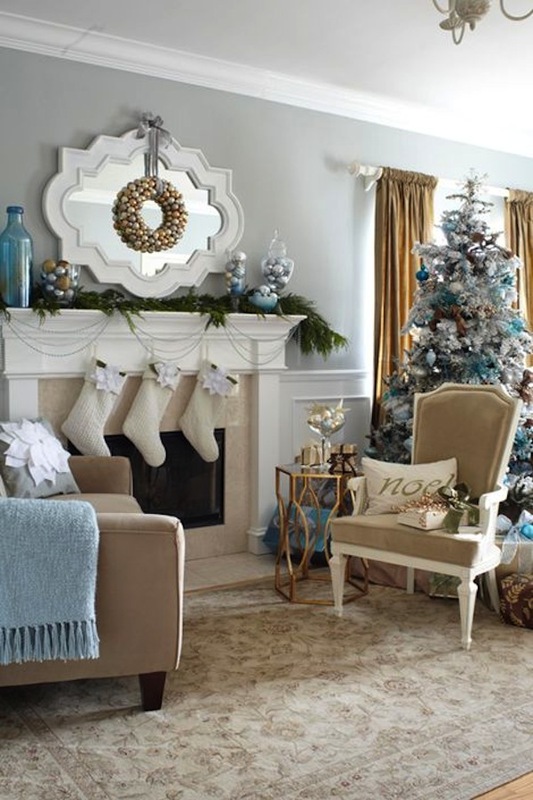 That means when it comes to decorating for the holidays, the fireplace mantel just may get very special attention, becoming the centerpiece of the decorations. 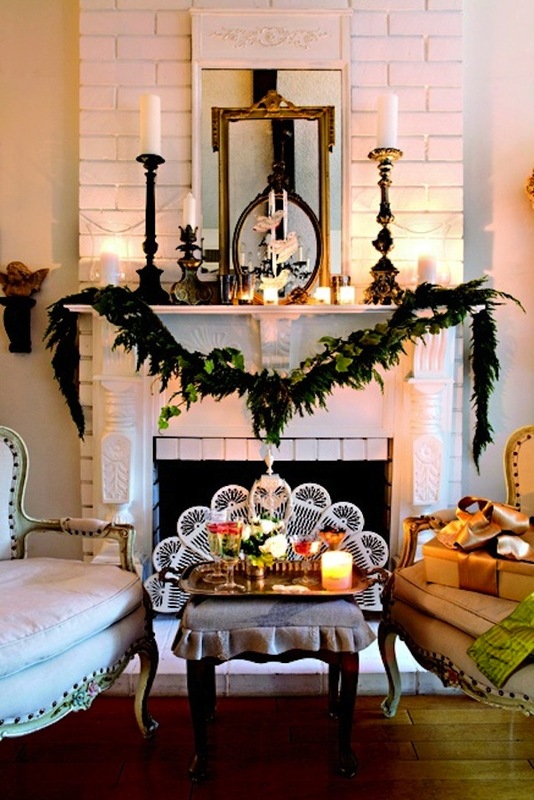 Believing that one can never have too much inspiration for holiday décor, here are 16 ways to decorate a fireplace mantel for this magical winter season. 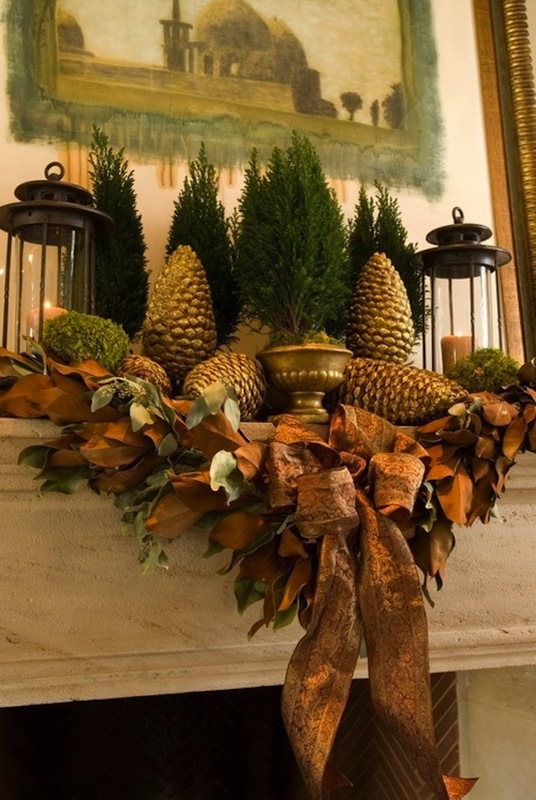 Beautiful copper, gold and green elements are used to create a classic vignette in the center of this stone fireplace mantel. 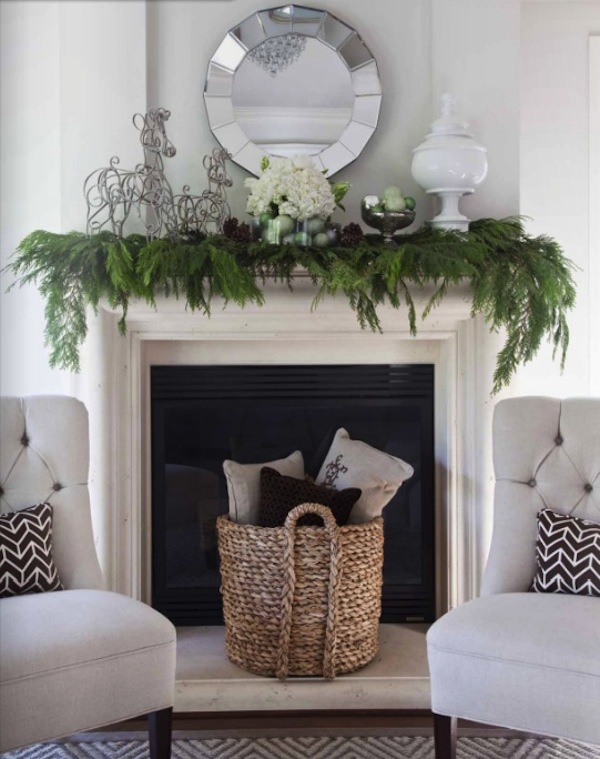 A simply pretty holiday mantel for a simply chic living room. 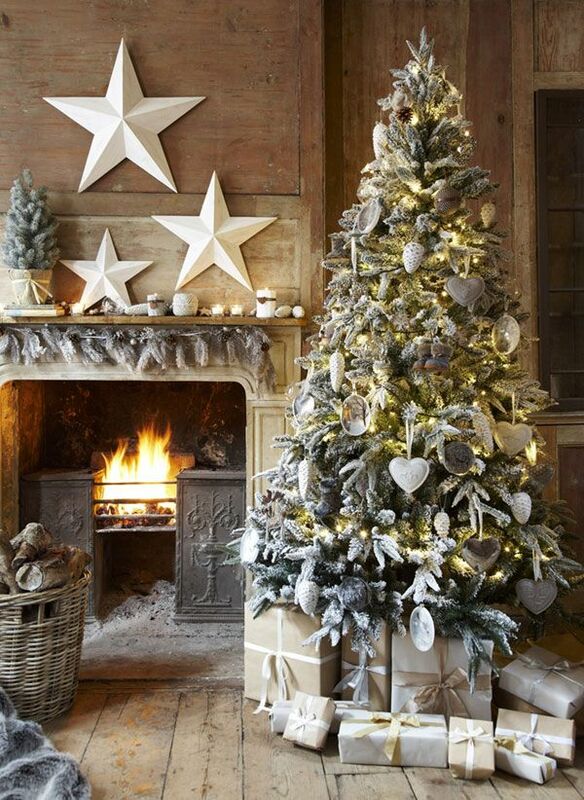 With a base of evergreen boughs, everything else looks festive with a touch of whimsy in a pair of wire reindeer. 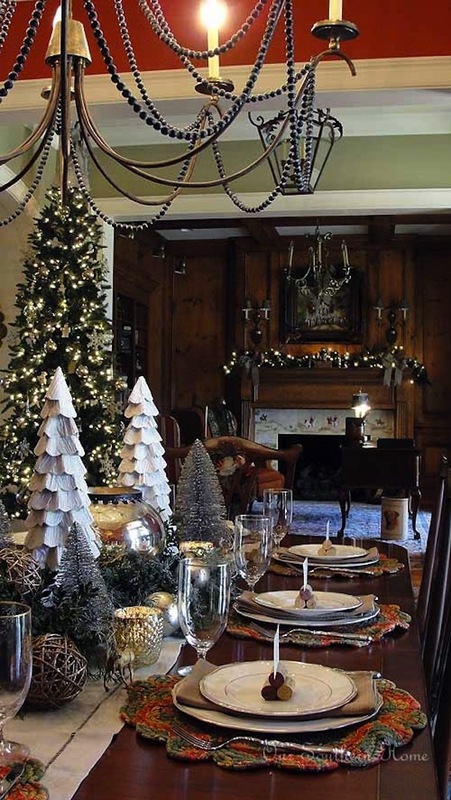 What speaks to the quintessential holiday dinner more than dining in traditional style near the Christmas tree and fireplace decorated for the special occasion? 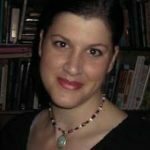 Don’t have a working fireplace? 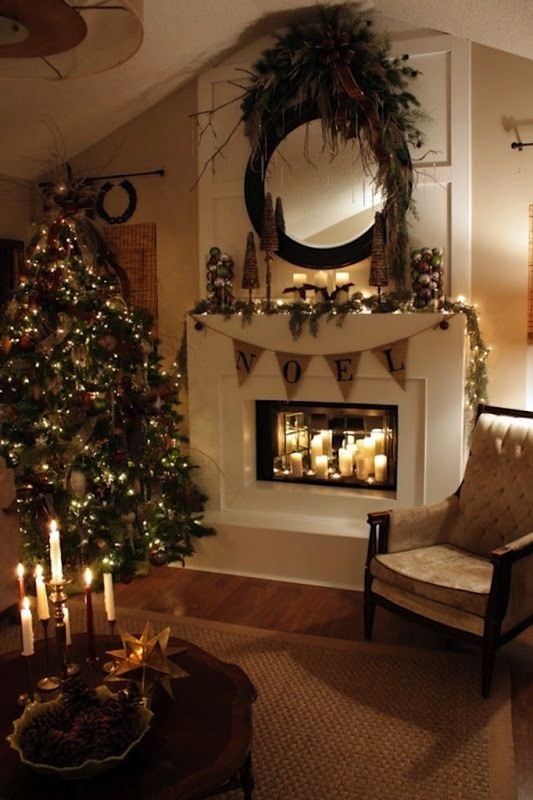 Here’s an idea to stack firewood inside the fireplace with candles in front to give off a warm glow. 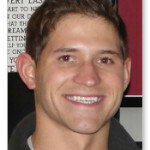 It’s easy to safely have the look of lit candles with the beautiful new flameless ones that are available now. 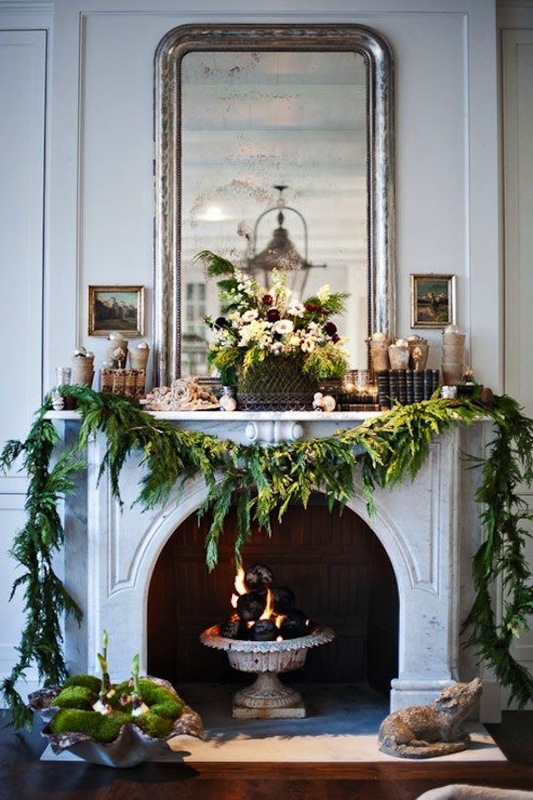 Another faux fireplace with a very narrow mantel is decorated with slender garland while the top of the mirror goes bold with lots of ribbon with greenery and other natural elements. 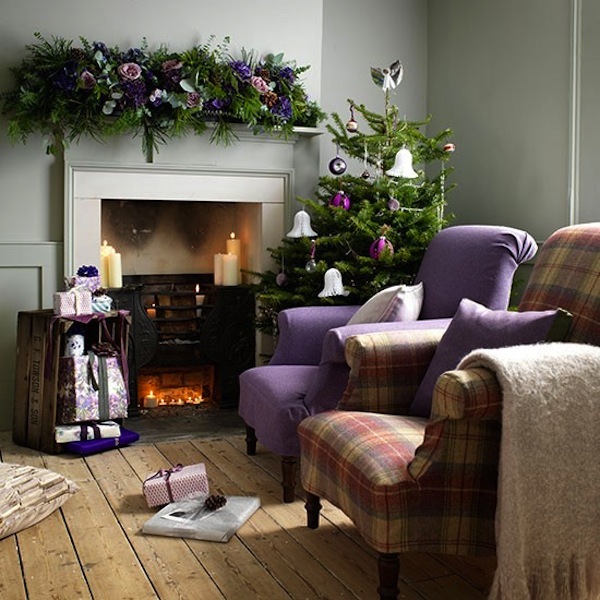 It’s a very vintage Christmas around this fireplace. 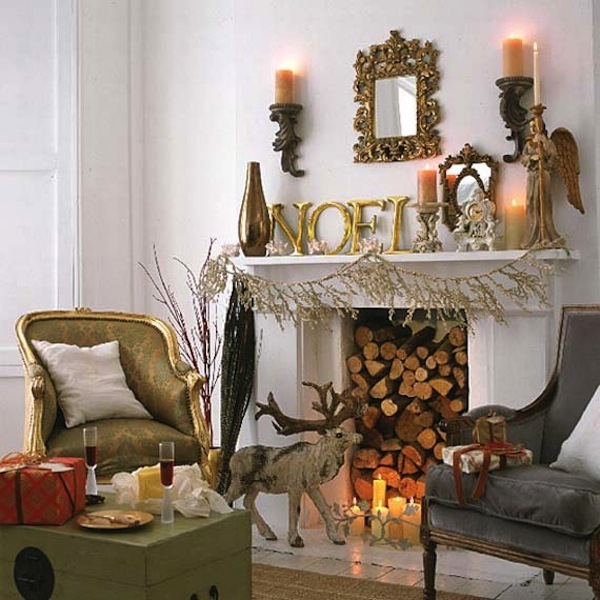 The narrow mantel is dressed simply with tiny candles and natural elements. Sleek white stars give the space a jolt of contemporary style. 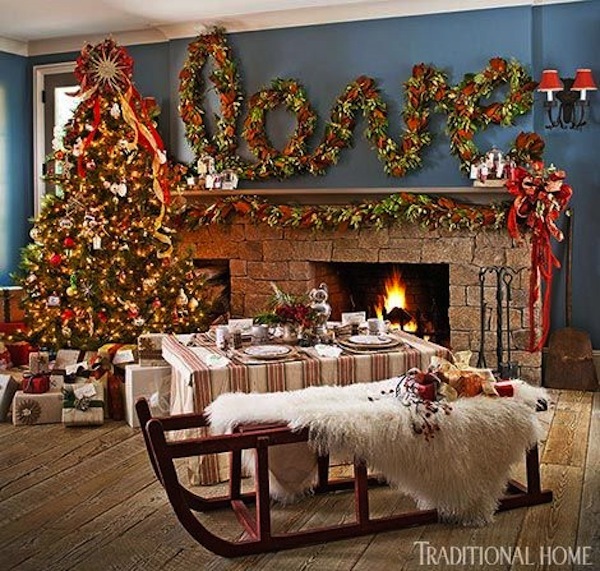 Very traditional holiday decorations with a touch of contemporary adorn this fireplace from the floor up to the hearth and mantel. 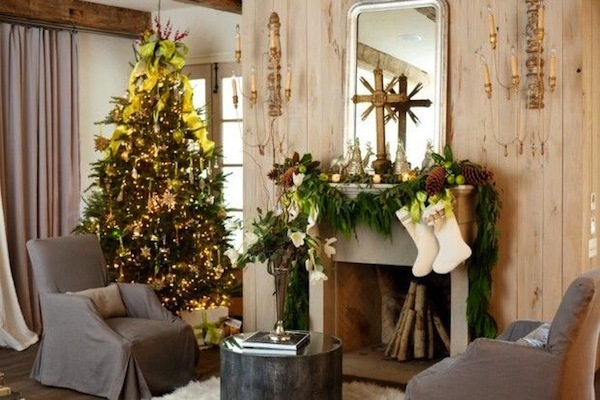 An unexpected modern color palette brings a light and bright look to this traditional living room, Christmas tree and holiday fireplace mantel. 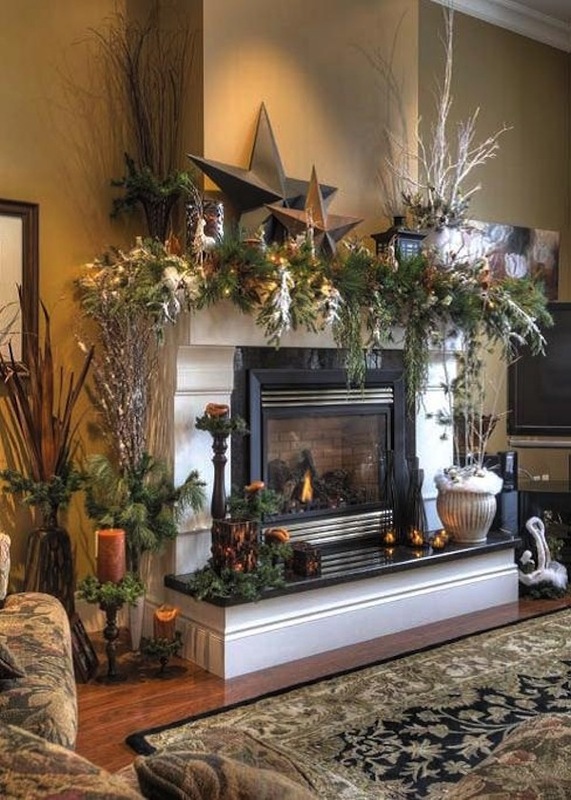 Here at TimelessWroughtIron.com, we know fireplaces and what makes them look great and function well, so we invite you to check out the wrought iron fireplace and hearth accessories that can help you get your fireplace ready for the holidays.